Cryptocurrency trading is evolving, with more people abandoning traditional investments to capitalize on the highly profitable crypto world. However, a smaller percentage of these people are truly maximizing on their cryptocurrency investments, as using trading tools is not the norm. 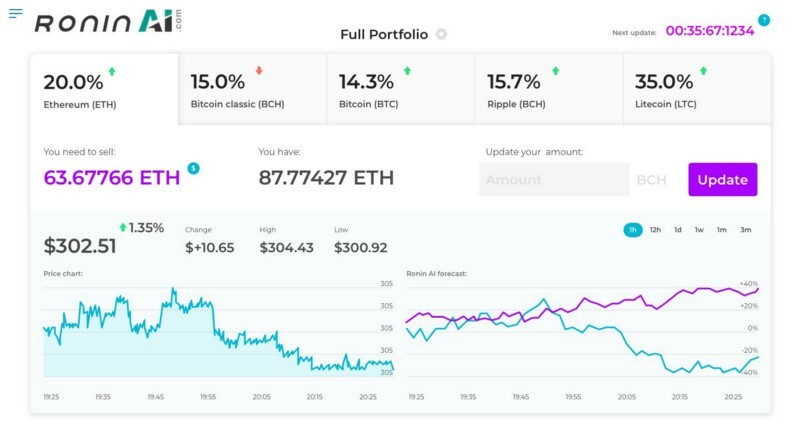 I was curious why this was, so I reached out to some trading tools that are launching soon to ask why they think this is and if their tool will be accessible and profitable for all types of crypto investors. The only tool that responded to me was RoninAi, which I have already heard good things about both from media outlets and from a few of my peers. RoninAi is, as the name would suggest, an Ai-based cryptocurrency trading tool that uses cutting edge machine learning to accurately predict market shifts before they happen, enabling its users to achieve significantly better returns in the cryptocurrency market. I was put in contact with RoninAi’s Quantitative Trading Analyst, Jingyuan Luo. I asked Luo about why he thinks so few involved with cryptocurrencies use trading tools. Luo then offered me a look at the RoninAi cryptocurrency signals platform itself ahead of their upcoming launch, which is on September 25th. This article was initially supposed to be a broad look at the cryptocurrency trading tools market, but it quickly turned into a review of RoninAi, as I got sucked into their Ai crypto trading world very quickly. RoninAi isn’t a one size fits all type of tool. It’s able to be customized to whatever type of crypto trader you are. If you want to receive signals as frequently as possible, you can get them every minute with RoninAi. Similarly, if you want to put crypto trading in the back of your mind for a few months, only using the tool intermittently, that is also very doable with RoninAi. I spent a few days only looking at on average two signals per day, and it felt adequate, but when I spent my last day with RoninAi at home by my computer all day, I saw how RoninAi takes advantage of the minute changes in the market before they happen with impressive precision. See those green/red up and down arrows in the image below? That’s how sure the AI is that a given crypto will go up or down in the market. One of my fears when I was given the keys to this crypto kingdom for a few days was that I would struggle to use the platform to its fullest and wouldn’t understand how an Ai that analyzes over 100 market factors using complicated machine learning techniques such as LSTM (Long Short Term Memory) and Time Series Data would actually grow my investment. As it turns out, that wasn’t the case at all. Every minute, RoninAi gives up-to-the-minute updates on the market and analyzes the correct cryptocurrency distribution for that exact moment. It also allows you to customize the Ai to your preferences. If you’re not bullish on Ripple, you can exclude XRP from your portfolio, and the Ai will automatically create a customized individual portfolio that is best suited to both the crypto market and your individual portfolio. I like RoninAi a lot, but in the end, the important thing to consider with any crypto trading tool is if it actually makes you more money than HODL-ing would. I am very happy to report that I absolutely made money from using RoninAi, even for just a few days. When I had access to RoninAi, the market was steadily trucking along, though not great, with pretty much no spikes and a few dips. If I had HODLed during this time frame, I would have probably lost 20–30%. And I’m being very conservative about that percentage. But with RoninAi, I saw considerably better returns at 16.8% profit. In an ideal world, we would all sit back and watch our investment grow, but that unfortunately is not reality. However, RoninAi is the closest I’ve come to that idealistic situation. Thank you to Jingyuan and RoninAi for giving me a special sneak peek at the RoninAi platform! You can find more information at www.RoninAi.com. Disclaimer: This is purely view of an author and any cryptocurrency trading activity is volatile and risky process. Please do your own research and due diligence. Author holds: BCH, BTC and ETH.